As part of your normal Raspberry Pi dev workflow you’re going to want to access the files of the Raspberry Pi from your host dev machine. 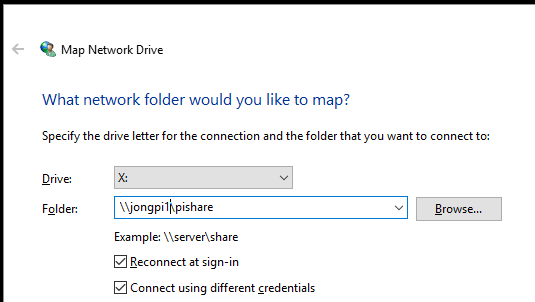 Here’s how to create a file share with Samba. This allows you to access your Raspberry Pi files from your desktop machine. This will share your entire home directory. If you’d like to limit access to a subdirectory, just create a directory and change the ‘path’ variable. Hit CTRL+O and then ENTER to save the file. Then Hit CTRL+X to exit nano. 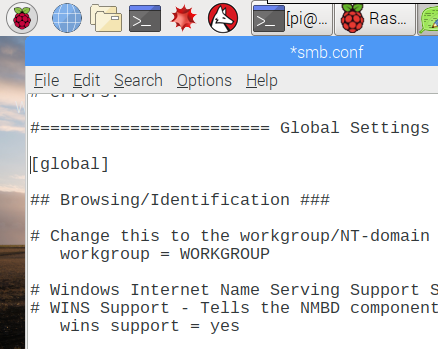 Open Terminal and execute the following to set the Samba password for the ‘pi’ user. This password can be different than the regular Pi user password. You’ll need to enter the password twice. 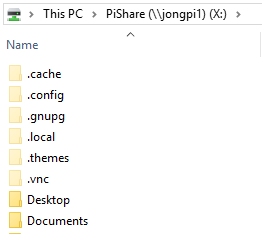 I like to do this so I can easily access the files without having to type in the Hostname everytime. Select ‘Use a different account’ and enter ‘pi’ and ‘raspberry’ (or whatever you set your Samba user/password to). 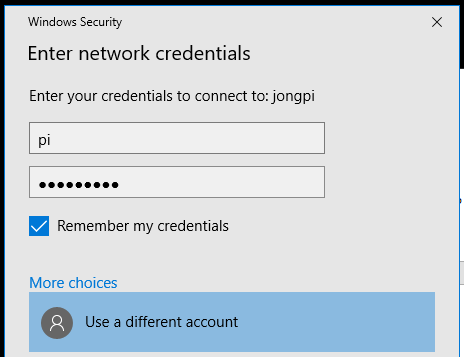 Check ‘Remember my credentials’ so you don’t get prompted everytime you access the share.